It wasn't so long ago that many investors regarded dividends as roughly the financial equivalent of a record turntable at a gathering of MP3 users - a throwback to an earlier era, irrelevant to the real action. But fast-forward a few years, and things look a little different. Since 2003, when the top federal income tax rate on qualified dividends was reduced from a maximum of 38.6%, dividends have acquired renewed respect. Favorable tax treatment isn't the only reason, either; the ability of dividends to provide income and potentially help mitigate market volatility is also attractive to investors. 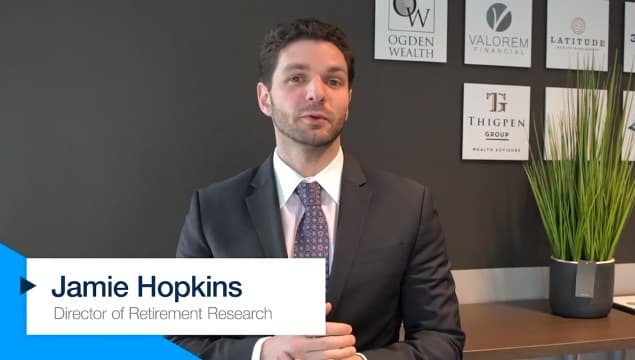 As baby boomers approach retirement and begin to focus on income-producing investments, the long-term demand for high-quality, reliable dividends is likely to increase. If dividends are reinvested, their impact over time becomes even more dramatic. When you reinvest dividends, you are buying more shares of the dividend-paying stock. The reinvested dividends can then start earning returns and dividends of their own, using the power of compounding. If a stock's price rises 8% a year, even a 2.5% dividend yield can push its total return into double digits. Dividends can be especially attractive during times of relatively low or mediocre returns; in some cases, dividends could help turn a negative return positive, and also can mitigate the impact of a volatile market by helping to even out a portfolio's return. Another argument has been made for paying attention to dividends as a reliable indicator of a company's financial health. Investors have become more conscious in recent years of the value of dependable data as a basis for investment decisions, and dividend payments aren't easily restated or massaged. Finally, many dividend-paying stocks represent large, established companies that may have significant resources to weather an economic downturn - which could be helpful if you're relying on those dividends to help pay living expenses. Financial and utility companies have been traditional mainstays for investors interested in dividends, but other sectors of the market also have begun to offer them. For example, investors have been stepping up pressure on cash-rich technology companies to distribute at least some of their profits as dividends rather than reinvesting all of that money to fuel growth. Some investors believe that pressure to maintain or increase dividends imposes a certain fiscal discipline on companies that might otherwise be tempted to use the cash to make ill-considered acquisitions (though there are certainly no guarantees that a company won't do so anyway). However, according to S&P, corporations are beginning to favor stock buybacks rather than dividend increases as a way to reward shareholders. If it continues, that trend could make ever-increasing dividends more elusive. Dividends paid on common stock are by no means guaranteed; a company's board of directors can decide to reduce or eliminate them. The amount of a company's dividend can fluctuate with earnings, which are influenced by economic, market, and political events. However, a steadily growing dividend is generally regarded as a sign of a company's health and stability. For that reason, most corporate boards are reluctant to send negative signals by cutting dividends. That isn't an issue for holders of preferred stocks, which offer a fixed rate of return paid out as dividends. However, there's a tradeoff for that greater certainty; preferred shareholders do not participate in any company growth as fully as common shareholders do. If the company does well and increases its dividend, preferred stockholders still receive the same payments. The term "preferred" refers to several ways in which preferred stocks have favored status. First, dividends on preferred stock are paid before the common stockholders can be paid a dividend. Most preferred stockholders do not have voting rights in the company, but their claims on the company's assets will be satisfied before those of common stockholders if the company experiences financial difficulties. Also, preferred shares usually pay a higher rate of income than common shares. Because of their fixed dividends, preferred stocks behave somewhat similarly to bonds; for example, their market value can be affected by changing interest rates. And almost all preferred stocks have a provision that allows the company to call in its preferred shares at a set time or at a predetermined future date, much as it might a callable bond. Investing in dividend-paying stocks isn't as simple as just picking the highest yield. If you're investing for income, consider whether the company's cash flow can sustain its dividend.Also, some companies choose to use corporate profits to buy back company shares. That may increase the value of existing shares, but it sometimes takes the place of instituting or raising dividends. If you're interested in a dividend-focused investing style, look for terms such as "equity income," "dividend income," or "growth and income." Also, some exchange-traded funds (ETFs) track an index comprised of dividend-paying stocks, or that is based on dividend yield. Note: Be sure to check the prospectus for information about expenses, fees and potential risks, and consider them carefully before you invest. It depends on your taxable income, but qualified dividends are generally taxed at special capital gains tax rates of 0%, 15%, and 20%, depending on your marginal tax rate. And depending on your income, dividends you receive may also be subject to a 3.8% net investment income tax (also referred to as the unearned income Medicare contribution tax). Qualified dividends are those that come from a U.S. or qualified foreign corporation, one that you have held for more than 60 days during a 121-day period (60 days before and 61 days after the stock's ex-dividend date). Form 1099-DIV, which reports your annual dividend and interest income for tax accounting purposes, will indicate whether a dividend is qualified or not. Some dividends aren't taxed at the same rate as qualified dividends, and a portion may be taxed as ordinary income. Also, some so-called dividends, such as those from deposits or share accounts at cooperative banks, credit unions, U.S. savings and loan associations, and mutual savings banks actually are considered interest for tax purposes. This information, developed by an independent third party, has been obtained from sources considered to be reliable, but Raymond James Financial Services, Inc. does not guarantee that the foregoing material is accurate or complete. This information is not a complete summary or statement of all available data necessary for making an investment decision and does not constitute a recommendation. The information contained in this report does not purport to be a complete description of the securities, markets, or developments referred to in this material. This information is not intended as a solicitation or an offer to buy or sell any security referred to herein. Investments mentioned may not be suitable for all investors. The material is general in nature. Past performance may not be indicative of future results. Raymond James Financial Services, Inc. does not provide advice on tax, legal or mortgage issues. These matters should be discussed with the appropriate professional. Content Prepared by Broadridge Investor Communications Solutions, Inc.
Stephen P. Poitevint, Inc. is not a registered broker/dealer and is independent of Raymond James Financial Services. Stephen "Phillip" Poitevint is located at 908 Tallahassee Highway, Bainbridge, Georgia, and can be contacted at (229) 246-7208 or www.poitevint.com.